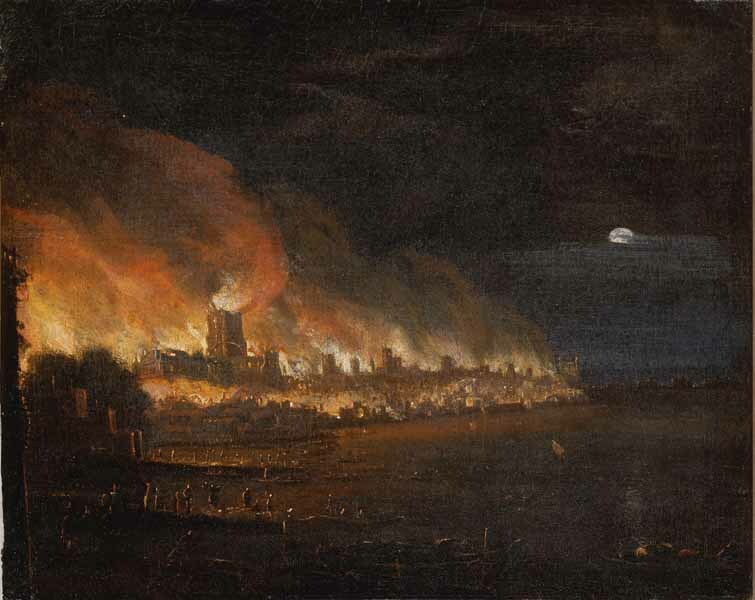 This view of the Great Fire is taken from the west and, more specifically, from Essex Stairs. Several London landmarks can be identified including, from left to right, Essex Buildings, Essex Stairs and Temple Stairs, near the trees at Temple Gardens and St Paul's. In the far distance on the right-hand side is London Bridge.